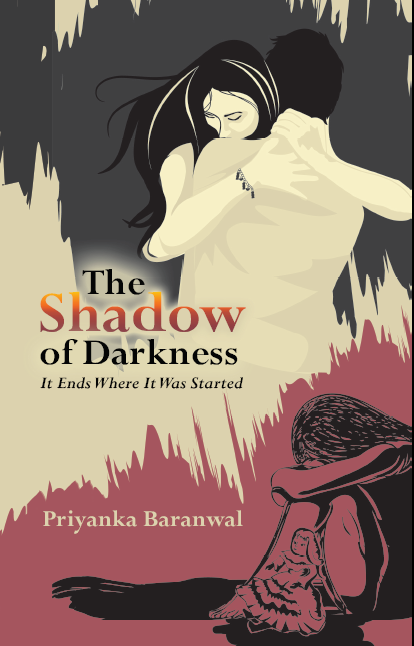 Welcome Priyanka and congrats for your about to launch 2nd novel “The shadow of Darkness- It ends where it was started”. So how you are feeling? I am feeling great, thank you! Another dream taking shape in reality. Much thanks to my family for backing me up since the beginning. To Pothi team, for helping me understand the nuances of self-publishing in smooth ways. Also, to Srishti Publishers, for giving me the first chance. We need to wait for long 4 years after your first novel…. So the time dedicated completely for researching and penning the 2nd novel? That and much more. I have edited ‘The Shadow of Darkness’ over and over until I was satisfied. I had even hired a professional editor to fine tune my manuscript. She provided me with this wonderful feedback and helped me making my story better. I am very thankful to my editor. I have done a lot of research to make my protagonist, Sejal, stand as a real person that we see around. She is the victim of Childhood trauma and the subject itself needed a lot of attention from my side. I read quite significantly about it. Do you know childhood traumas can happen because of holocaust or the loss of a loved one? That child abuse happens more with boys than girls? Yes, these and many more facts make it a subject worth talking about. I even gave an elaborated presentation based on childhood trauma in my society that covered all the major and minor factors about it. People were awestruck knowing about the trauma and its types and the scale at which it can affect a child. Overall, they applauded for the invigorating slides as well as my oratory skills. I really want to spread awareness about childhood trauma. Will request you to give a brief on the story and the lead characters in it? My female protagonist is Sejal. She is eighteen year old teenager, goes to college, loves to watch movies, hanging out with friends, playing with her little brother Krishna and even stands for herself when someone harasses her in a cafe. Basically Sejal is a contemporary girl like you and me. However, her story is like no other. The story introduces us to her and the affects of the childhood trauma and how she still finds difficulty to overcome the incident. The trauma she received, when she was barely five year old, has grown with her age too! She still has trust issues, bizarre habits such as filing pencils (in her childhood, she was succumbed to eating the lead in pencils) and erasing papers endlessly. She eats regularly though, much against of the childhood years after the trauma when she could barely put a morsel in her mouth. Little Sejal had developed eating disorders. If I wish to confide a great secret in you, Samata, it’d be that not only the research but my experience also says that if children have this amazing ability to forget things easily, they are also completely unable to do it with some incidents. Incidents like trauma and abuse stay! And much against the myth, they grow as you do. 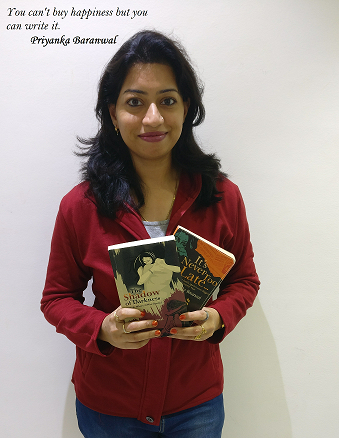 Teenage Sejal is like any other girl but her story makes her different. Her struggle to keep fighting with the demons of past on her own makes her exclusive and stand tall in the crowd. It’s inspirational! It’s heart-wrenching! It’s one of our stories! Love outlaws every existing logic. Fate takes a twist once again when the past lurches into present with the notorious emotion called revenge. The incident happens so that it puts Sejal under such darkness that only a miracle can pull her out from it. Sejal family and best friend are there but it isn’t enough! Disappointment from the self is the only thing now echoing inside her. Now Kartik, being in love with Sejal, is ready to do anything. But will he succeed? If yes, what could possibly be enough to break the trauma in pieces and make her life wholesome? Even if it is possible, will Sejal be ready to transform her life once again? Will she be able to prepare herself to come out of the shadow of darkness? ‘The Shadow of Darkness’ has answers to all of these. Sounds interesting! So your first book is based on crimes against women. The second talks about childhood trauma. How actually do you decide themes for your book? I just like to write on different topics. Having said that, I luckily do not have to hassle much about the theme. At the time of selecting theme for ‘It’s Never Too Late’, the idea was already there in my head since a long time but never knew how to put it out in open. And when the opportunity arrived, i grabbed it. For The Shadow…, it had to be about childhood trauma. I had already written about the grown up woman and housewife – Maya – and her struggle in ‘It’s Never Too Late’ but as their creator, how could I not put a focus on the affects the brutal night had on a little five year old? The decision to write about Sejal was decided on the journey of ‘It’s Never Too Late’. I wanted to do justice with one more of my characters. Beside Maya, after all, Sejal was the one most affected by the criminals’ acts, right? And for future projects, I am already working on different and refreshing ideas. What are you plans for the book promotion? They are actually varied in ideas. You need to follow my pages to know about my plans in details. I also post interesting videos on my YouTube channel. What are you expectations this time from readers? As an author, I’d certainly like my readers to buy my book and enrich me with their valuable feedback. It will only help me to grow. I’d also like my work to be shared and spread as much as possible. Have you targeted a specific age group in this story? My previous book, ‘It’s Never Too late’, was not specified as ‘only for women’ or ‘housewives’. It was actually dedicated to all of those who want to know how to fight against their biggest enemy called Fear, if the situation calls upon. It has been receiving great reviews. Having said that, you too have given a wonderful review as well. Thank you once again! In the same manner, ‘The Shadow of Darkness’ is also for those who are curious to know about a taboo called childhood trauma as well as how our loved ones can help us overcome any obstacle in life. But since the story is narrated through the perspective of Sejal, a teenage girl, the book is largely dedicated to the youth around. Why you selected such long tail title” The shadow of Darkness- It ends where it was started”? You recently shifted to Kuwait…. so say something about your experience out there. Being in Kuwait has surely brought some changes but I prefer to see them positively. It has put me exposed to an altogether new culture, new language. Though people also speak profusely in Hindi as well as English here, i am inclined to learn Arabic. It’s traffic patterns are based on US style. I find everything that’s available in India except a couple of things – my parents as well as my Bangalore city. I miss them both. The best part in being in Kuwait is, that I have much less distractions here so i can write more. I have also made some friends who are good and friendly. So far, my new life in Kuwait is serving me very well. What next is there in Pipeline? IC24 wishes you the best for The shadow of Darkness- It ends where it was started – Surely it will touch the hearts of millions of readers. Thank you so much, Samata, for your time knowing about me and my work. I wish the best for you as well.